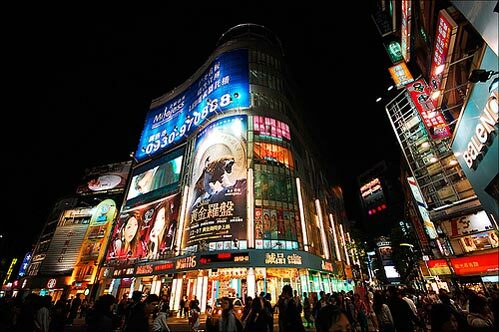 Consumer market in Taiwan has one of the highest consumer market potential in the world. According to a market analysis, which tracked trademark activities across 186 countries, Taiwan ascended to the top 10 list of global trademark registers, overall trademark class activities and total published trademark volume. It shows the confidence those multinational corporations has on the consumer market in Taiwan. According to product category, food, housing and water charge, medical care, transportation and communication, education and reading and recreation expenditure are the main areas of consumption, accounting for 22.6 percent, 20.1 percent, 13.9 percent, 12.4 percent and 12.9 percent, respectively. Consumers in Taiwan are very keen on trying new products. According to a survey conducted by Nielson, the percentage of consumers who are willing to try new products are 55 percent, significantly exceeding Europe (44 percent) and the North America (31 percent). Consumer electronic is the area Taiwanese consumers especially interested in, which shows the demand in the consumer market in Taiwan for better technology and product functionalities in order to improve the quality of their life. The attitude of Taiwanese consumers is very cautious, or even pessimistic. Eighty percent of Taiwanese consumers plan their daily spending. 65 percent of consumers would choose to deposit their money in banks as a first choice after extracting necessary daily expenditure. The figure is ranked eighth in the world. Over 80 percent of consumers thought the economy of Taiwan was in recession, and almost half of consumers thought the situation would not get better in the next year. Even though the figure dropped 8 percent form the last quarter, the level still remained high. Consumer market in Taiwan is also matured. The GDP growth rate of Taiwan in the recent decade fell in the range of 0 percent to 3 percent, significantly lower than the 6 percent plus range commonly observed in the 1990s. This reflects Taiwan’s transition into high-income economy and a stable stage the economy of Taiwan has come to. Household income also rose only at a average rate of 0.5 percent in recent years. While a dramatic expansion in the consumer market in Taiwan is mostly unlikely to appear, what we can expect is that the expenditure pattern will change: expenditure on food and clothing will shrink expenditure on housing and related items will remain unchanged, while expenditure on health, transportation and communication, recreation and entertainment will continue to rise.